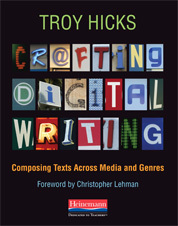 Yesterday, I was fortunate enough to lead a workshop for teacher consultants at the Oregon Writing Project at SOU. Fall in Oregon is beautiful, and I am thankful to have had the opportunity to be here. Like all the workshops I do, it was a unique experience in the sense that I begin with some idea of a plan and, as I interact with the teachers, I make moves from one topic and activity to the next based on their needs and interests. I’ve used this model for nearly all of the workshops that I have done in the past ten years. Call it flexibility, call it intuition. I am not sure. I just can’t plan out, minute-by-minute, a workshop that will be “delivered” to an unwitting audience. I want to be a professor who teaches, not just one who professes. At any rate, their site director, Margaret Perrow, and I had time to talk on Thursday night, and I had shared my strategy for leading workshops. We talked about flexibility, especially as it relates to using digital tools. She then told me how each teacher in their summer institute will often choose a guiding metaphor to describe themselves, and how they will carry their metaphor throughout the SI and into their writing. In all the best ways, that gave me pause to think. And I kept thinking about it all day yesterday and into this morning. Unlike many workshops that I do, this one (on the west coast) didn’t require me to rush off yesterday afternoon to catch a plane (because the flights home didn’t go that late! ), so I was able to stay another day. I’ve had some time to think, and I have continued to ponder this guiding metaphor over the past 24 hours. Immediately, I thought of Bud Hunt’s “Teaching Blogging Not Blogs,” which has been a seminal piece in my thinking about what it means to teach and learn digital writing, and I am spending my few minutes at the airport to reread his work and think about it even more. Despite Bud’s concern that he is aging (hey, aren’t we all), I think that his post has, indeed, aged well. Written in 2010 as a summary of ideas about blogging (and hyperlinking) from 2005 forward, here are some of the relevant quotes for me as I reflect on what occurred in yesterday’s workshop and, metaphorically, think of myself as the hyperlink. Blogging is that set of skills that he [Will Richardson] talks about. It’s the reason why I want the students that I work with to use blogs — in the end. But I don’t think that many of them will start with that skill. Bud’s point here — that students need to experience how we, as writers, use blogs — resonates with the broader philosophy of the National Writing Project: teachers must be writers themselves. In this case, he is talking about how teachers can be digital writers and think about using links in strategic ways. In turn, when I lead a workshop, I want teachers to see me model the kinds of teaching that I want them to do. 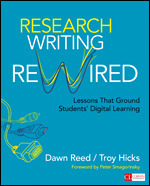 Without being trite, I want to be the change in the world (of teaching with digital writing tools). 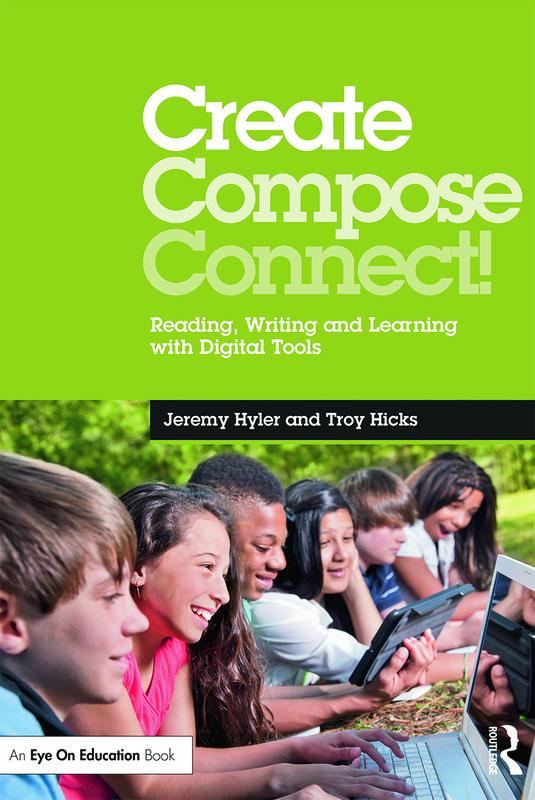 When teachers can see a model for digital writing and learning in my workshops, my hope is that they, like students, will begin to build their own skills. Linking requires us to stretch in these new directions. Digital texts have the potential to make a big, juicy mess of a linear experience. Or to turn a so-so piece of writing into a masterful collection of references, linktributions, and pointers to other good stuff. My hunch, a rough one, but one I’ve held for a while, is that reading and writing that way makes you (ultimately) a better reader and writer. I just don’t really think I know how to teach that way yet, or at least, I don’t know how to teach other people to think about teaching that way. This is a quote that I’ve cited before, and I agree with Bud’s hunch. 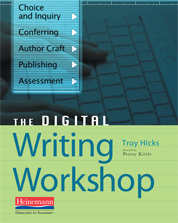 Reading and writing (in a digital space) has the potential to make you a better reader and writer overall. As the news media and some sensationalist scholars would have us believe, it has the potential to make things (much) worse, too. I suppose that the jury is still out on that. Anyway, during my workshops, I am usually faced with a question. 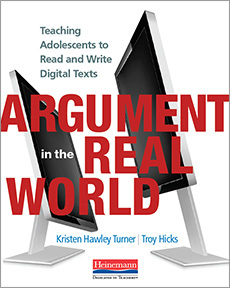 Many versions of the question abound, but one teacher I worked with yesterday asked it pretty bluntly: why should we be asking our students to do this (digital reading and writing) work? I am not entirely sure how I answered: modeling and mentoring are important, it’s the world in which we live, it’s part of the standards and digital literacies. Something along those lines. But, at the core, I want teachers and students to be smarter, more productive readers and writers. 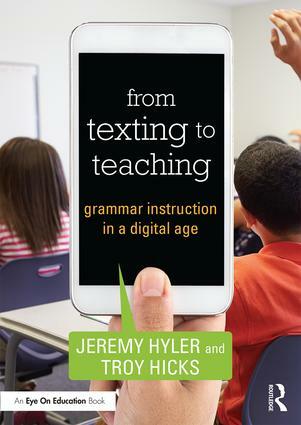 Being the hyperlink — connecting them to new visions for teaching practice — is, indeed, what I hope I am doing. Blogging as experimenting. Want us to try out a tool or a lesson or an activity? Post it here along with some instructions and, perhaps, a question or two to guide our exploration/experimentation. Experimenting is risky, and doing so in front of an audience is even more so. I want the teachers with whom I work to experience risk by trying out new tools and practices, so I need to risk, too. Without a doubt, there will be a link that doesn’t work, a question I can’t answer, or a tool that won’t load on someone’s machine. That is risky, and it causes many teachers to feel (at least) a small degree of panic. I want to model for them how I handle that stress, how I problem solve, how I adapt and move on. Hyperlinks take us from one place to the next. Sometimes they work, sometimes they don’t. But, you have to keep clicking, keep linking. Again, being the metaphorical hyperlink is something that I can aspire to. Thank you to Margaret for the metaphor, to Bud for your reflections, and to the entire NWP network for continued opportunities that amaze and enlighten me. Great post! Love the metaphor. Keep writing and being a hyperlink!